Tecnocut snc nacque nel 1987, avviando da subito la produzione di coltelleria sportiva a marchio Vipe. Fin dall'inizio l'obiettivo era creare prodotti di eccellente qualità,fondendo la tecnologia più avanzata con l’abilità e la tradizione artigiane. Seguendo questa filosofia, nel 1992 Tecnocut iniziò la produzione della sua prima serie di lame in acciaio damasco. 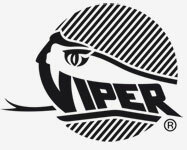 Verso la fine degli anni ’90 il catalogo Viper, forte dei consensi ricevuti dal mercato, si arricchì con l’introduzione di svariati modelli di lama fissa. Dopo 25 anni, la nostra missione continua ad essere quella di creare coltelli di alta qualità per gli appassionati. E in quest’ottica continuiamo la nostra evoluzione che va di pari passo con le esigenze dei nostri clienti. Lo dimostrano coltelli come il Tank, il Keeper e lo Start, che hanno affiancato alla tradizione del coltello elegante Viper una varietà di modelli più tecnologici ed innovativi, sempre all'insegna della massima efficienza e con uno stile diverso ma sempre inimitabile. La Coltelleria Collini di Busto Arsizio è rivenditore ufficiale dei coltelli Viper. Designed by the famous Danish designer Jesper Voxnaes, Odin is a lockable high-end housing architecture frame lock with rotation system of bearings and the use of noble materials and technology (full frame titanium cheek and carbon fiber, titanium or G-10). The unique style of Vox, is influenced by Scandinavian design that the American cutlery, the attention to detail and excellence of workmanship typical of a knife Viper create completely original and of high quality. THE ART OF " sabrage " And ' A TRADITION FROM THE FRENCH COUR DE RUSSIE INHERITED AND CAVALERIE napoléonienne . The ritual of opening a bottle of champagne or sparkling wine with a saber ( saber in French ) is very old , dating back to when the officers of the French Royal Guard celebrated the victories on the field and their promotion by opening bottles of champagne with a sharp blow . It is said that Napoleon himself will enfatizasse the gesture shouting " Champagne In victory you deserve it, in defeat you need it ... " . The parade saber from its scabbard slid gently on the neck of the bottle on the side of the coast and freed the cap with the glass that contained it . This type of opening is spectacular and very easy on the eye and can only be done with bottles containing sparkling , because it is thanks to the pressure that they exert wine inside the bottle neck glass that goes away easily from the cap. To perpetuate this tradition was created by Jean Claude Jalloux , a French restaurateur , the Brotherhood called " du saber d'or " that is spreading across the Alps . TO HONOR THE BEST FRENCH TRADITION THIS PRODUCT HERE IS THEREFORE AN ALL ITALIAN , REFINED AND QUALITY ' , FULLY DEVELOPED A MANIAGO DALL'AZINDA VIPER - TECNOCUT . The saber measures a total of 47 cm , 33 cm blade , cocobolo . Gift box with wooden display very elegant. Viper - Mathusalem Damascus and Ebony - Sabre Sommelier THE ART OF "sabrage" It 'FRENCH TRADITION INHERITED Cour de RUSSIE AND CAVALERIE napoléonienne. The ritual of opening a bottle of champagne or sparkling wine with a saber (saber in French) is very old, dating back to when the officers of the Royal Guard French celebrated victories in the field and their promotion by opening bottles of champagne with a clean blow. It is said that the same Napoleon enfatizasse gesture shouting "Champagne! In victory you deserve it, in defeat you need it ...". The parade saber from its scabbard slid gently on the neck of the bottle on the side of the coast and freed the cap with the glass that contained it. This kind of openness is spectacular and very easy on the eye and can only be performed with bottles containing sparkling, because it is thanks to the pressure that they exert within the wine bottle glass neck goes away easily from the cap. To perpetuate this tradition it was created by Jean Claude Jalloux, a French restaurateur, the brotherhood called "du saber d'or" that is spreading across the Alps. TO HONOR THE BEST FRENCH TRADITION THIS PRODUCT HERE IS THEREFORE ALL ITALIAN, REFINED AND HIGH QUALITY '; COMPLETELY MADE BY THE COMPANY MANIAGO VIPER-TECNOCUT. 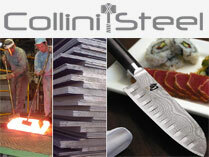 THE PRIDE OF MADE IN ITALY: THE SABRE BY SOMMELIER DAMASCUS STEEL NOT! The blade and the guard of this sword are made entirely of stainless damask 'LADDER 'high contrast; obtained starting from plates of different materials that are forged, welded and folded, until the number of layers and drawing voluti.L'impugnatura is prized ebony selected. This saber is part of a limited series, produced in two hundred pieces. The saber measure total 47 cm, 33 cm blade, ebony grip. Box-wooden display. Typical Sicilian knife originally from Catania, in use since the mid-nineteenth century. Is characterized by the truncated blade tip, similar to a barber-free hand-shaver. Kyomi is a compact frame lock knife which combines the unmistakable design of Jesper Voxnaes with innovative features, such as ball bearings and two different back spacers. Comfortable to hold and carry, thanks to smooth edges and a robust reversible titanium clip, it is available with the left scale made of different materials. Knife typical of the valleys of Bergamo, in use since the first half of the nineteenth century. It is considered one of the most beautiful knives of antique regional tradition for its characteristic shapes and proportions. Typical knife in the Tuscan and Lazio Maremma, which has been in use since the first half of the nineteenth century. It is present in the criminological museum of Rome. It was used by the rebels of the criminal baths of Civitavecchia. Coltello tipico delle valli bergamasche, in uso sin dalla prima metà dell’ottocento. E' considerato uno dei più bei coltelli di antoca tradizione regionale per le sue caratteristiche forme e proporzioni. Knife typical of the city of Siena and the Tuscan countryside, in use since the first half of the nineteenth century. E 'characterized by a blade with typical shape of a scimitar, or "French". Fodero: Cordura con sistema M.O.L.L.E. Sheath: Cordura with system M.O.L.L.E. Coltello tipico piemontese originario del paese di Vernante, in provincia di Cuneo, in uso sin dall’inizio dell’ottocento anche nella vicina Liguria. E' caratterizzato da un bottone forgiato sulla parte superiore del tallone della lama che ne permette l’alloggiamento nell’incavo del manico a lama aperta, fungendo da battuta. Coltello tipico dell'abruzzo, del molise e del basso lazio, in uso sin dal primo ottocento. E' caratterizzato da una lama a foglia di canna, stretta ed appuntita e da un manico piegato ad assumere la curvatura del gobbo. Ottimo coltellino Viper. Pienamente soddisfatto. .
Bel coltello con un grave difetto, nel mio caso.